I did my last race, a half marathon, 3 weeks ago today. I have the Amsterdam marathon in 3 weeks time. I have not run, or walked more than essential small distances, in the last 3 weeks. It is likely that I won’t run, but hopefully I will be walking more extensively, over the next 3 weeks. Hence, in effect, a 6 week taper. The reason? Even before my last race I was suffering with a pain in my right foot. It had appeared 4 weeks previous to the race. It was intense immediately after runs, but gradually faded over the next 5/6 days. I ran over the next 3 weekends, including 2 half marathons. After the Bacchus the pain was much worse and did not go away. I had it X-rayed and a stress fracture, from 4 weeks earlier was diagnosed. “Six weeks since your last run before you can expect to run again” I was told by the doctor. That would make it on the day of the Amsterdam marathon. Earlier this week recovery was seemed to be almost non-existent, and I was very down. Then I discovered another marathon, 3 weeks after Amsterdam that would fit my plan nicely, and was still open for registration. Should I enter? It certainly would be at the opposite end of the difficulty spectrum from the flat Amsterdam course. The maybe necessary extra 3 weeks recover won the day so the registration, flight and hotel were booked. Of course sod’s law immediately came into play, and my foot seemed to start to recover much more quickly. The question might now become, should I run Amsterdam if my foot is OK or should I just wait for Athens. And if I do Amsterdam, should I then also go for Athens, even though it is bound to be even harder going after run one just 3 weeks earlier. And if things seem OK this time next week am I going to be stupid and run the half marathon I have entered in Brussels? It is going to be an interesting next 3/6 weeks. 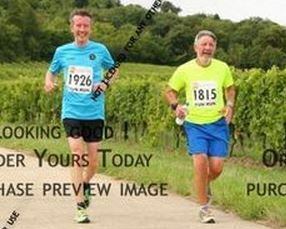 This is run on the same day as the Marathon du Medoc, and is its English equivalent, held at the Denbies wine estate, Dorking in the rolling Surrey Hills. 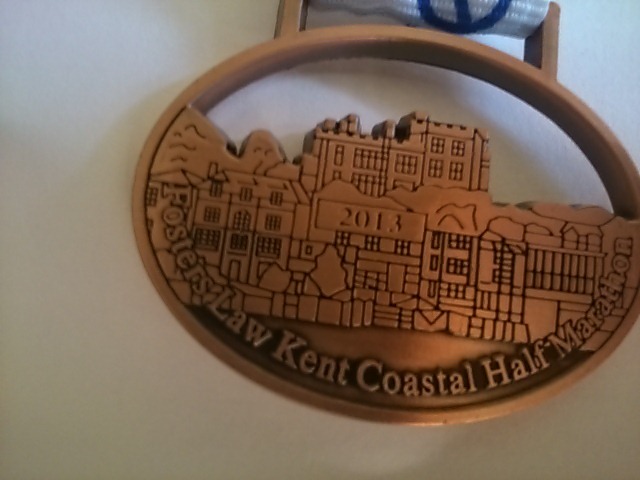 As last week at the Kent Coastal, I was dubious as to whether I should be running it because of a foot ‘niggle’. But again the thought of the medal and the technical T, the design of which I had seen before the race, was too much to resist (but I am suffering now, I am icing my foot as I write this). The start time was friendly, midday, with the full at 11.00. Although in previous years it had been very sunny and hot, the conditions this year were much more conducive to running, with just one heavy shower that didn’t last too long and some parts of the course missed it all together. It might not be an easy course,a majority on trails, but it is certainly one of the most scenic and it has WINE at all 7 refreshment stations together with the more traditional liquids and a brilliant selection of nibbles and gels. Many of the runners embraced the fun aspect of the run which lead to a wide variety of fancy dress costumes. I made a conscious decision to start at the back of the pack, where I spotted someone wearing a Comrades T. We actually ended up running most of the race together and would have crossed the line together if he had not stopped just before the end to grab his 2 young children and run through the finish with them. But a big ‘thank you’ to you, Grant. It was great to have someone to chat to on the way round, but more important over the last couple of miles, particularly the downhill 2 miles at the end which should have been easy, as what I now know is metataralgia was causing more pain than I care to remember, your company kept me running. I will look for your progress when you do the return half of the Comrades next year. When I checked the official results, I was amazed to find I was first home in my age category! And as I didn’t know this after the race I wasn’t at the awards ceremony (I was getting changed in the toilets). But I can pick the award up from Run to Live in Ashtead which I certainly will, many thanks to them for making it available. Actually a strange occurrence took place while I was getting changed. I had balanced by medal and some clothes of the toilet roll dispenser. 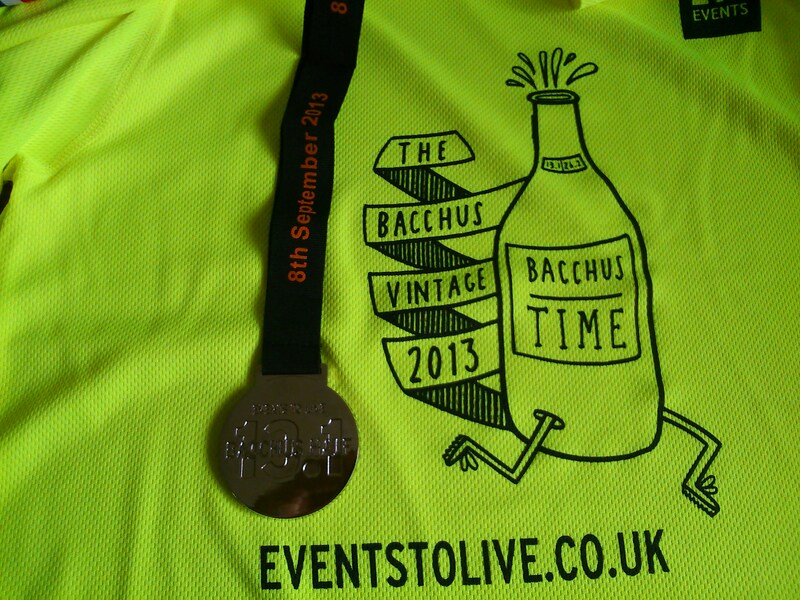 When I picked up the T shirt to put it back on I heard a clang which must have been my medal hitting the floor. When I looked for it a few seconds later it was no where to be seen. I looked through the gap to the adjacent stalls and the door but it was nowhere to be seen. I finished getting dressed and then waited for the occupier of the only other stall that was in use to appear (after a surprisingly long amount of time) and asked if he had seen it. Maybe I wasn’t too surprised when he said “no”, he was highly unlikely to produce it from his pocket and say “Oh you mean this, I was wondering what it was and who it belonged to!”. Well things turned out OK because I found Mr Superman, organiser Alan Burrows who did not hesitate to send me to get another one, a big thank you for that. There seem to be many other blogs about this race, much better than this and containing some great pictures; try life.laura.london‘s. Of course I must mention my daughter, Cat, and congratulate her again; marathons on consecutive Sundays and podium finishes in both! Of course. I cannot forget Jon her husband who is responsible for getting her into running and completed marathon number 82 on Sunday. It should be very clear from my ramblings that this is a race (or walk if you want) that you should must do. I will certainly be watching eagerly for the opening of registration for next year, the way it is growing it will may become over subscribed and I wouldn’t want to miss it. For most of the week before this race I was seriously expecting DNS to be appearing on the results list. On the day when I did actually decide to give it a go, I though it only 10% likely that it wouldn’t be DNF. Training runs on the previous 2 weekends had resulted in a foot ‘problem’, a sharp pain through the phalanx-metacarpal region which made even walking very difficult. Although it gradually subsided during the week it was still there on Saturday so I was pleased I had opted for parkrun volunteering to give it more rest; I enjoyed giving out the finish tokens with some bingo descriptions, but had to look carefully to see who was approaching for 88. 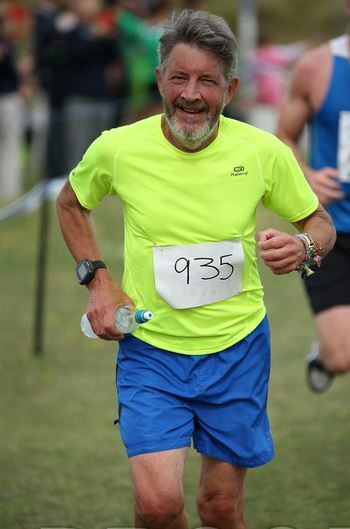 It was on the drive down to Margate/Cliftonville that I finally decided I would run, not really wanting to waste the entry fee and miss out on the medal! The hill wasn’t as steep as it seems. Collecting bibs and then chips was a slow process. I had registered on line via Runners World, and it was causing registration problems, not just for me. I wasn’t the only one who was given a hand written bib when names couldn’t be located on the lists. It did lead to a slightly late start. It was/is an excellent course, mainly along coastal paths with a few excursions along pavements/roads. Friendly and very helpful marshals everywhere and enthusiastic public support especially outside the pubs and cafes we ran past. 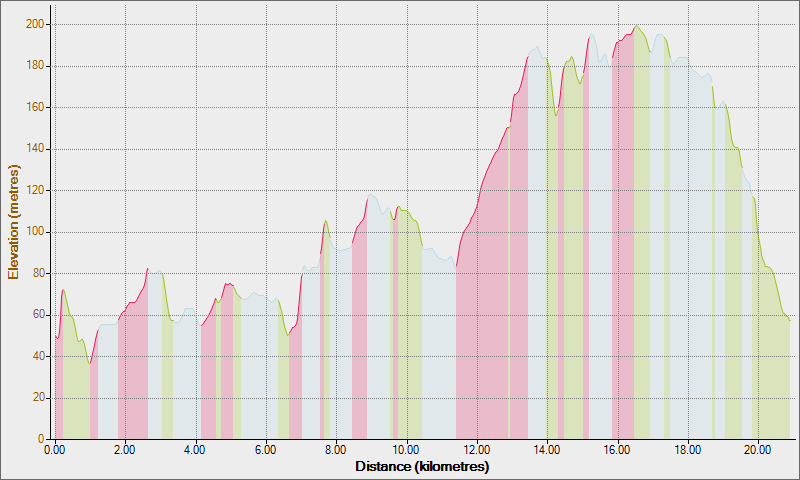 In the first km the discomfort was noticeable, and expecting it to only develop further, and it did, I was wondering how far away I would be before having to stop. As I ran past Bleak House, at 9k, a sharp pain made me fear the worst, however maybe I slightly changed how I placed my foot because it didn’t persist. So I did complete the whole race, running very conservatively and enjoying it much more than last year when I took off much too quickly and paid for it by having to walk up the hills during the 2nd half. This time they were easy and I was overtaking other runners on them plus quite a number during the final 2k. I did not look at my Kalenji at all during the race, so was very pleased and somewhat surprised to see that I was considerably faster than last year and very close to a PB which I hadn’t considered at all possible. I was able to cheer daughter & son-in-law, Cat and Jon, in the full marathon, and maybe it helped Cat who came home as 2nd lady finishing strongly over the last couple of miles; and another one ticked off by Jon, marathon number 81 on his quest for 100. We ended up drinking cider and watching Arsenal (Jon’s team) v Spurs. As so a week to recover before all 3 of us repeat it at The Bacchus next Sunday.